It is not often that you get to dine in a 100-year old restaurant. 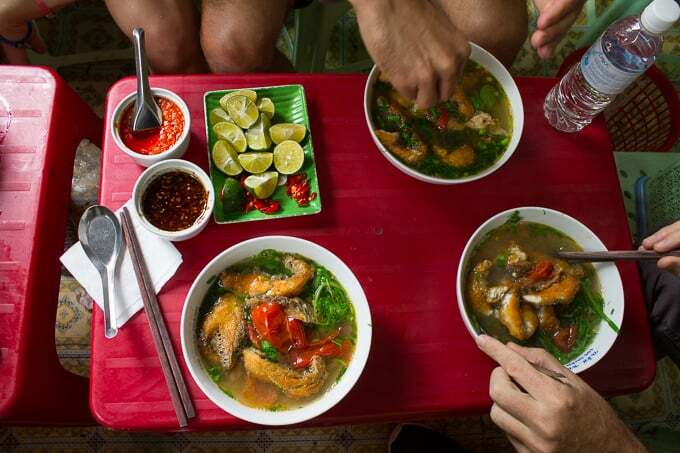 Cha Ca La Vong is a legendary institution in Hanoi, Vietnam serving only one fish dish! The post Dining at the legendary Cha Ca La Vong in Hanoi Vietnam appeared first on Exploring The Blue Marble. The post Fine dining at Niagara Falls Culinary Institute appeared first on Exploring The Blue Marble. The post Photo Essay: Discovering Vietnam through Smiles appeared first on Exploring The Blue Marble.